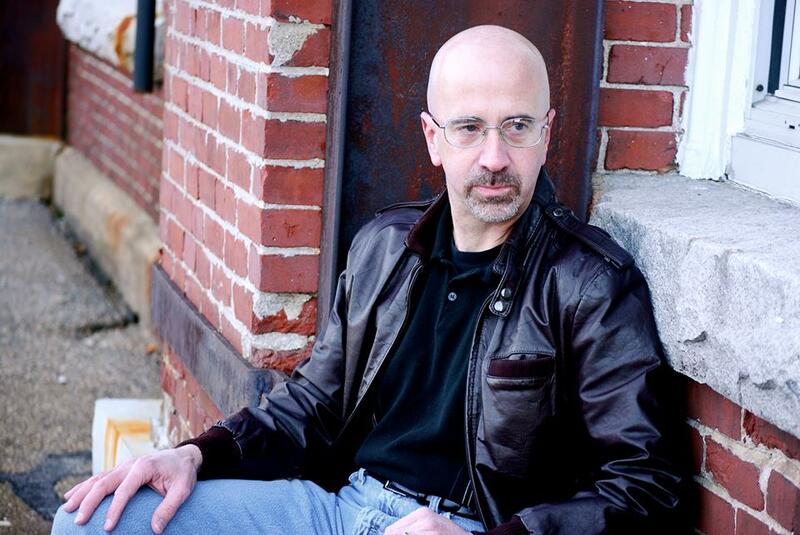 Any one who knows me for a second knows the respect I have for horror AND political thriller writer, Allan Leverone. I gobble up his books, particularly his horror books. 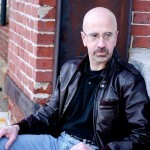 Recently, Al ventured into Kindle Scout for his new book, The Omega Connection, and reached out to me to see if I would be interested in a post on his experience. I could not reply quickly enough. 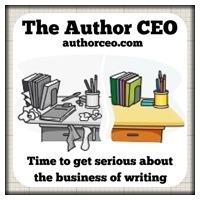 I love when I can give Author CEO readers authors’ experiences of the good, the bad and the ugly. I started writing my first book almost exactly eight years ago, in the late fall of 2006. It was the story of an aging assassin that I recently returned to and eventually – after a lot of work and plenty of rewriting – became my ninth and most recent published novel, titled THE ORGANIZATION. Hope to be signed by an agent. Wait while agent submits book to publishers. Hope to be signed by publisher. Now, as everyone who has even been paying a little attention knows, many of the previously existing barriers to publication have fallen. But with the ease of access to publication have come other issues for authors, one of the most significant being: How do I get the attention of the reading public for my work, when it’s competing with so many other books for that attention? With the literary landscape changing so dramatically so quickly, the old cliché, “The early bird catches the worm” has never been more accurate. Innovation and willingness to take risks gets rewarded (sometimes), while sticking to the tried-and-true becomes staler and less productive by the minute. All of which leads me to this: I’ve enrolled my upcoming thriller, THE OMEGA CONNECTION, in Amazon’s brand-spanking new Kindle Scout program. Say what you will about Amazon. Love them or detest them, no one can argue they’ve been – and continue to be – light-years ahead of their competition when it comes to innovation in the publishing world. Kindle Scout is just the latest in a long string of programs beneficial both to writers and readers. 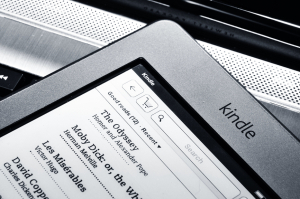 Kindle Scout is being billed as a merger of “crowd sourcing” with publishing. Here’s the way it works: Authors submit completed, never before published manuscripts to Amazon, and if approved for the program, those manuscripts compete with others in the same genre for readers’ “nominations” based on their sampling of approximately five thousand word excerpts. Amazon claims that the more “nominations” a book receives during its thirty-day appearance in the Kindle Scout program, the closer the editors at Kindle Press will examine that book for possible publication. The obvious correlation we’re to draw is: More nominations = greater chance of publication by Kindle Press. Hopefully the quality of the work will play a significant role in the decisions of Kindle Press editors on which books to select. A poorly written book that receives hundreds or even thousands of nominations will presumably not be selected for publication over a well-written book that receives fewer nominations. Although, given the newness of the program and Amazon’s legendary secrecy, we won’t really know much of anything concrete about Kindle Scout for months, if not years. Kindle Scout seems to be a kind of hybrid/mishmash of traditional publishing with self-publishing. The author submits the book with cover art and editing already complete. Anyone even slightly familiar with traditional publishing knows those are two areas typically provided by the publisher. That’s a negative for the author. On the other hand, the royalty split offered by Kindle Press to the author is much more generous than that typically offered the author by traditional publishers – fifty percent. A more complete rundown of pluses and minuses of the Kindle Scout contract is available in this very well-written and thorough analysis by author Victoria Strauss. But that fifty percent royalty clause is what ultimately convinced me to submit THE OMEGA CONNECTION to the program. 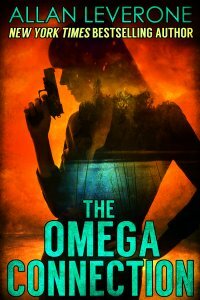 When released, OMEGA will be the third in my Tracie Tanner series of thrillers, a series I had fully intended to self-publish. But by settling for a 50% royalty, as opposed to the 70% I would earn by self-publishing, I give the book the chance – theoretically, at least – to benefit from Amazon’s promotional prowess, thus helping distinguish Tracie Tanner from the hordes of other heroes and heroines floating around out there in thriller-fiction land. Is the decision risky? You bet it is. I may end up regretting it, even assuming my book is picked up through the program. Kindle Scout has zero track record to measure. If so, it would be far from the first mistake I’ve made in this bizarre writing journey. But as I said earlier, it’s my belief that to be successful in the brave new world of publishing, an author must be willing to take chances, as well as the occasional leap of faith. That’s what I’m doing with my entry into the Kindle Scout program. Amazon has earned that much trust from me. Check out the excerpts. Nominate your favorites. If nothing else, you might find these upcoming books help give lie to the claim of some that Indie publishing is a cesspool of mediocrity or worse. There are some damn fine writers out there, hard-working women and men worthy of your support. Kindle Scout might just open some eyes to that fact. I don’t think Al would be too upset if you nominated him while you were in there. In fact, I think he would appreciate it! Do you have any questions for Allan on his experience? Want to connect with Al on social media? Allan, great of you to share the experience. I hope it works out well for you. One point though, I believe the “royalty” quoted by Amazon is 50% of “net” which would mean it works out to be 35% of list price (minus any charges). I’m not quite as enamored by Amazon’s latest venture as you are. It may end up being good for a few select people, but overall I think it is not good for the majority of authors, and it’s yet another attempt by Amazon to lower the price they pay in commissions, just as they are doing with KU. Hi Giacomo, and thanks a lot for taking the time to check out the post and to comment. You’re correct about the royalty, and that’s one of the factors I had to take into consideration before submitting. And I don’t know if I’m enamored of the program or not yet. It’s way too early to tell with such a brand-new program. Like I said in the post, I may very well find submitting THE OMEGA CONNECTION was a mistake. But, depending on the level of promotion Amazon offers their new “toy,” it may very well end up earning me new readers and more money. A lower royalty rate but more readers and higher earnings is a tradeoff I’m more than happy to make. On the other hand, if the promotion isn’t there, and it does turn out to be a mistake, at least I’ll have felt I tried something new, and with ten novels to my name, risking one on a new program is a chance I’m willing to take. Looks like the campaign was a success! Would love to hear more about the process through the ending of the campaign and what the current status of the book is. Hi Jake, thanks a lot for checking out the post, and best of luck on your Kindle Scout experience! My strategy for the Kindle Scout campaign was based on what I’ve learned about Amazon through trying to promote my other books. My theory was that Amazon tends to value steady sales over the “Big Splash.” So, to that end, I tried to get off to a good start, contacting about a dozen people who had been enthusiastic supporters of my work in the past, and asked them if they would consider reading the excerpt and nominating the book if they felt it worthy. After that, I took some time every day and contacted five people, some from my email newsletter list and some from other venues, to ask them the same thing. This way, I felt there was at least a decent chance I would get anywhere from one to four or five votes almost every day. Whether that strategy had anything at all to do with my book’s selection I have no idea, but that was my strategy and I stuck with it over the thirty day campaign. The book has now gone through copy-editing with Amazon editors and is awaiting release, which will be coming very soon. Thanks for sharing your perspective and experience. That is so helpful. I definitely originally operated under the impression that it was total counts that counted but I am now under the impression that is steady votes that helps and the last three days , some say, are the most important. My campaign was launched on April 25th for a book entitled, The Misery Checklist, about a diabolically manipulative parent. Please feel free to check it out.